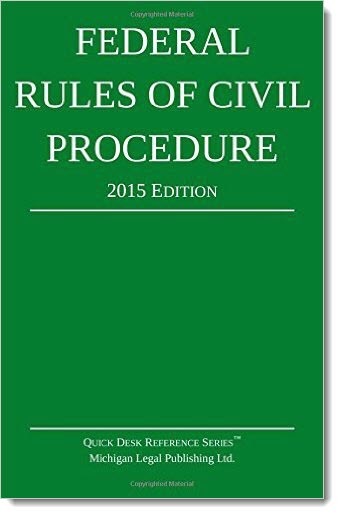 A new version of Federal Rule of Civil Procedure 37(e) goes into effect December 1, 2015, barring an unexpected act of Congress to amend or rescind the changes. Proposed rule 37(e), features a new title: “Failure to Preserve Electronically Stored Information,” and replaces the current subpart in its entirety, providing a uniform standard to resolve a split in case law among different Judicial circuits concerning serious ESI spoliation sanctions. Rule 37(e) will be the only Federal civil rule section addressing the duty to preserve ESI and thus serves as key guidance governing eDiscovery collection and preservation efforts. Another factor in evaluating the reasonableness of preservation efforts is proportionality. The court should be sensitive to party resources; aggressive preservation efforts can be extremely costly, and parties (including governmental parties) may have limited staff and resources to devote to those efforts. A party may act reasonably by choosing a less costly form of information preservation, if it is substantially as effective as more costly forms. It is important that counsel become familiar with their clients’ information systems and digital data — including social media — to address these issues (emphasis added). Due in large part as a result of this mention, legal holds quickly became a core eDiscovery requirement, with an entire sub-industry spawned. So there is no question that the Advisory notes are highly influential. And we are of course seeing this explosive trend in the adoption of X1 Social Discovery ahead of new FRCP Rule 37(e). X1 Social Discovery is the undisputed leader in its field for the preservation and analysis of social media and other internet evidence. If you are not one of the several thousand eDiscovery, legal, and digital investigation professionals who have enthusiastically incorporated X1 Social Discovery into your standard preservation protocols, new FRCP 37(e) should be your final call to action. Great post! Thanks for the information. We have been pushing for organizations to archive social media (and all ESI) for years. Hopefully, these new changes will give more companies the extra nudge they need to realize that it is even more important.